If you've found a construction flaw in your house, you deserve compensation for the repairs you'll need to maintain a safe building. Find a knowledgeable Construction defect attorney in Everett at Russel & Hill, PLLC today. Finding Construction defect on your house can be devastating, as the consequences of a defect can lead to discomfort and danger for both you and your family. Because of this, knowing how to proceed once you’ve identified a potential construction defect is pivotal. Construction defect can affect your family’s health and lead to a multitude of complications. 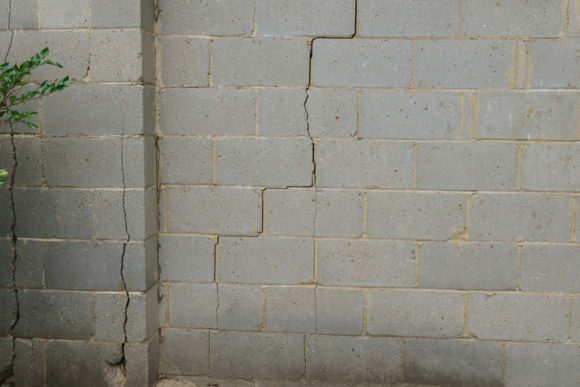 At the same time, defects around your home can cost a huge amount of money in property damage. Though the definition varies from state to state, there are numerous circumstances that allow you to file a Construction defect claim in Everett due to the many different ways you can come across these defects. A lot of homeowners discover damages after they hire a contractor to perform reparations on their home. In other cases, the damages are so severe they are visible to the naked eye. Construction defect can affect individual homes, which are usually one-off defects that only hinder one household. They can also occur in larger condo buildings and townhomes, which may affect entire buildings and compromise several households. This is where construction defect attorneys come in. Having a reliable attorney that has experience with Construction defect claims can help you get the reparations you need to make the necessary improvements to your house. As mentioned before, the specific definition of “Construction defect” varies depending on the state you’re in. However, as a general definition, a construction defect is any flaw or damage that affects the structure of a building or reduces the property’s value. These flaws can include both aesthetic elements such as ornamental pieces as well as structural components like walls and windows. It’s no surprise that the most common types of Construction defect in Everett are related to water damage. Like most of the PNW, Everett is an extremely humid city, and water intrusion can lead to a huge list of problems in a house. Moving foundations, the development of foul odors, and mold growth are just some of the complications that may arise. These also require a significant financial investment to repair and mitigate, not to mention the adverse effects these Construction defect can have on your health. In these cases, it’s very important to find the source of the problem and hold the right party accountable. If you think you may have a construction defect(s) in your particular house or condo, contact Russell & Hill, PLLC now. Our team of experienced attorneys will take a look at your case and let you know what we can do to help you. Construction defect can come in different forms and affect different parts of your house, individually or simultaneously. There are certain flaws that manifest soon after the house is built – these tend to be obvious, but doesn’t necessarily mean that they are severe. In other cases, construction flaws may take years or decades to become apparent. Defects that are not visible right away tend to cause long-term damage and can even affect the structural integrity of your home if left untreated. Moreover, these can result in dangerous health complications that may affect your respiratory and immune system, just to name a few. Homeowners and other entities directly affected by Construction defect have the right to pursue recourse against the parties involved in the original construction of the home. This may include the original developers or contractors that worked on your building. In some states, only the original owner of the house can file Construction defect claims. Always remember that you can file a Construction defect claim in Everett even if you are not the original owner of the house. Like all civil claims, a party aggrieved by Construction defect can take recourse. Note that this includes homeowners who hire someone to carry out renovations and general contractors hired to build a single-family house. Note that groups, such as homeowner associations (HOAs) can also file claims for bigger projects like condos and townhomes. Identifying Construction defect in your house can be devastating. Having a reliable attorney who knows about Construction defect and the laws that relate to them can help you manage the situation and get you the compensation you deserve. If you believe you may have a Construction defect claim in your hands, you should work with a reliable Everett Construction defect attorney to guarantee the best outcome for your case. However, instead of jumping head-first into a lawsuit, your attorney should focus on finding the fastest solution so you can get your life back on track. But, there are cases where the accountable party does not take responsibility for the construction flaws and the costs associated with their repair. Your lawyer should then pave the way to success, set the right expectations, and keep you informed along every step of the way. Our team of seasoned attorneys has a vast amount of experience working on Construction defect claims and helping homeowners get the compensation that is rightfully theirs. These cases tend to be extremely complex, and one of our main goals is to provide clarity to our clients once and for all. In order to improve your chances of success, you should always aim to find experienced attorneys that understand your unfortunate situation. Construction defect law can be extremely technical, so finding a firm that serves this specific specialty is very important. One of the biggest aspects most people forget to look for in an attorney is compassion and humanity. Construction defect affect a family’s livelihood. Moreover, for many people, a house is the biggest purchase they will ever make. Learning that there is a design flaw that may put the house and your health at risk is one of the worse circumstances anyone can find themselves in. Contacting an attorney that understands the implications of losing a house means you will get the professional and emotional support you require. Construction defect can bring a huge number of issues and setbacks that cost a lot of time and money. But, with the right assistance, you’ll be able to hold the responsible party accountable and cover the costs of the repair. Contact Russell & Hill, PLLC, and get the help you need to win you Construction defect claim in Everett.